The stuff moves so rapidly that merchandise is often sold before TJX has paid its vendors for it. The busiest stores can take daily delivery of product, which employees put out on the floor right away—a “door to floor” approach that cuts down on the amount of space needed for backroom storage. Items typically go on markdown if the turn rate is slower than about 7 weeks, which also contributes to the rapid flow. 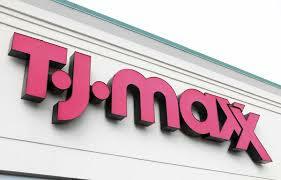 The number of days of inventory for T.J.Maxx is 5.2 vs. 121.3 for Macy’s, and 117.0 for Kohl’s. TJX’s supplier relationship is so strong partly because of the adversarial relations department stores have with the same suppliers.“A lot of buyers beat up people in the market to try to get what they want, as if they’re making a one-time car buy and they’re never going to go back,” says a former TJX buyer. Department stores want concessions for advertising and markdown allowances. They want money for delayed deliveries and returns. By contrast, the buyer-supplier relationship with TJX has historically been more of a partnership. TJX buyers are taught to make the vendor feel like it’s a win-win and to leave the door open if they can’t come to an agreement this time around. They will make a deal with a vendor they know isn’t a great deal to maintain or establish a relationship with a brand they know is important. TJX also pays on time, which seems like a given, but suppliers can go out of business because they don’t always get paid. This post provided courtesy of Jay and Barry’s OM Blog at www.heizerrenderom.wordpress.com. Professors Jay Heizer and Barry Render are authors of Operations Management , the world’s top selling textbook in its field, published by Pearson.